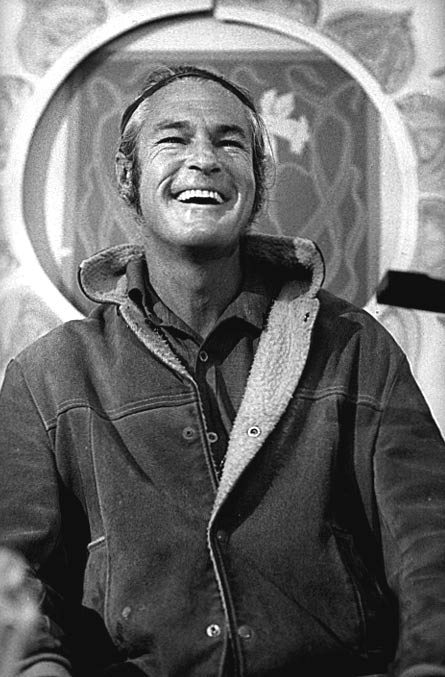 Today we remember Timothy Leary’s daring and ingenious highwire escape across the highway from his Californian jail. A middle-aged Harvard professor yet symbol of the psychedelic revolution, Leary was assisted to freedom by members of the righteous terrorist organisation, the Weather Underground, and ably financed by those idealistic drug-dealing bikers, the Brotherhood of Eternal Love. Despite the negative outcome of this escapade – kidnapping, a brush with the Black Panthers, even more jail time for the good doctor and the selling out of revolutionary comrades – at least its high aims of uniting disparate radical groups ultimately failed only because of the extraordinary thoroughness with which members of the CIA, FBI, Police, Customs and IRS had managed successfully to infiltrate the Underground. That this gang of unmitigated government bastards had felt compelled to join forces in order to discredit and destroy Hippy Society is, however, merely evidence of how seriously they were being forced to take the actions of Radical America; and of how seriously their authority was being challenged. So today let’s not dwell on how the ‘60s Revolution turned in on itself, but instead remember that brief moment of unity when such disparate groups as the Black Panthers, the Weathermen and the leader of the psychedelic movement came together to confront the MAN. Well said! Too often do we dwell on Leary’s subsequent fall, and not often enough on the great wave of radical optimism that he helped create. Reading his books today is such a bittersweet experience. To see so much faith in a glorious future so comprehensively dashed. Also, on this day in 1896, 13 Filipino resistance fighters were executed by the Spanish. The contemporary wave of Psychedelic psychologists have a not unreasonable beef with the good doctor and firmly pin the wilderness years of Psychedelic research upon his door. I think that they miss the point however: that he was an agent of Evolution and as such was born upon the fractal tsunami of History to herald the acceleration in Consciousness that continues today. Of course as the above episode so ably illustrates it could just be that they envy the size of his kahunas. You know I don’t think the Sixties was a failure, it was the first wave. As a member of the Rave generation, we certainly felt the ripples coming down to us in the attitudes and literature. Even from today’s historical vantage point, that brief period stands in such contrast to the Likely Lad 70’s that followed it. So tonight I’ll be raising a vape to Dr. Tim and all those who turned on back then to show us that life can be so much more if we too resist dull conformity to the Man’s death-dealing Ponzi scheme.